Linsey qualified in Physiotherapy in 2004 from the University of Hertfordshire. She specialised in Neurological Physiotherapy soon after this and is now the Lead Neurological Physiotherapist at Complete Neuro Physio. Her role involves clinical treatment of clients in our rehab centre, in clients own homes and in hydro and swimming pools. She also mentors her growing team of Neurological Therapists and trainers. Linsey has a keen interest in ensuring that her clients have access to the latest rehabilitation technologies; including functional electrical stimulation cycling, working closely with www.anatomicalconcepts.com, upper limb rehabilitation, working with www.ectron.co.uk and treadmill training with the AlterG antigravity treadmill. Linsey is a mother of 3 children and a keen sportswoman. She has competed in many endurance events since qualifying as a Physiotherapist including The Mont Blanc Marathon, the London Marathon, climbing Mount Kilimanjaro and more recently the Edinburgh Marathon. Linsey uses her experiences in sport to push her clients to achieve their goals. Aneta obtained her Master degree in Physiotherapy at Medical University in Katowice, Poland. Since qualifying she gained experience working with both children and adults with various neurological and orthopedic conditions but always been drawn to paediatrics. She also attended number of additional post-graduate training to develop her knowledge. Aneta’s experience include working in private multidisciplinary clinics as well as Paediatric Hospital where she was a part of Neurology Rehabilitation team. She also likes to join her two passions, physiotherapy and swimming while providing hydrotherapy classes for adults, children and babies. Aneta enjoys working with children and their families. She is creative, enthusiastic and always combines therapy with encouragement, play and challenge. Outside the clinic she enjoys going for a walk, travelling, working out at the gym or trying new recipes! 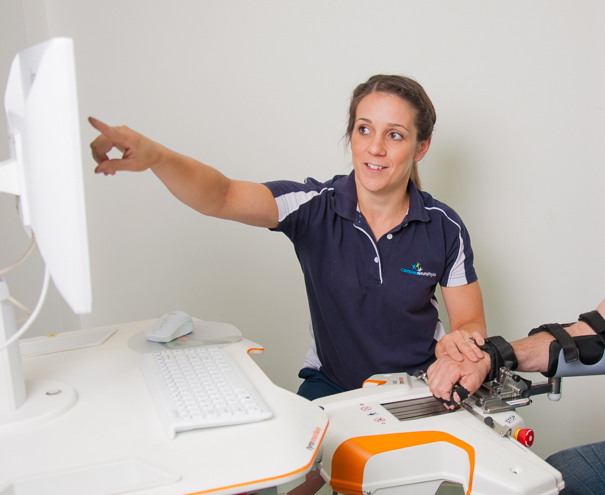 Complete Neuro Physio team members all work in partnership with our clients. We believe that rehabilitation is a journey and that our support and guidance can help you to push your own boundaries to be the best that you can be.